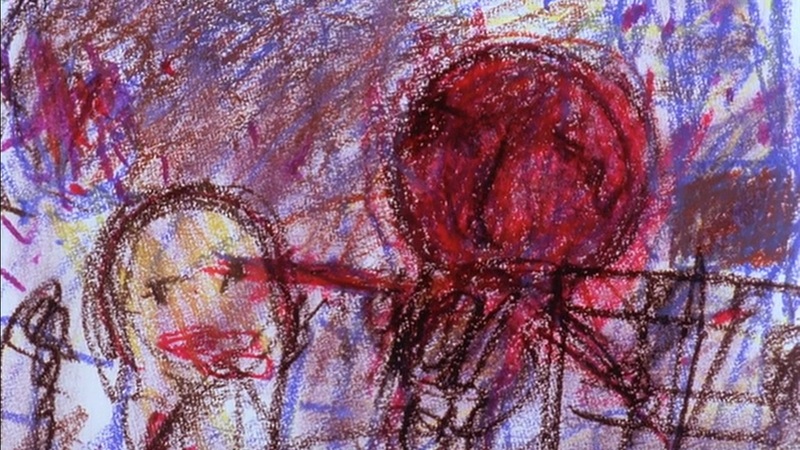 What's the meaning of the crayon painting that appear in End Of Evangelion? A boy inside a house? I think the general consensus is that it's up to your own interpretation. They are a mix of actual children's drawings and some that were made to look like children's drawings but were actually created by the staff (e.g. 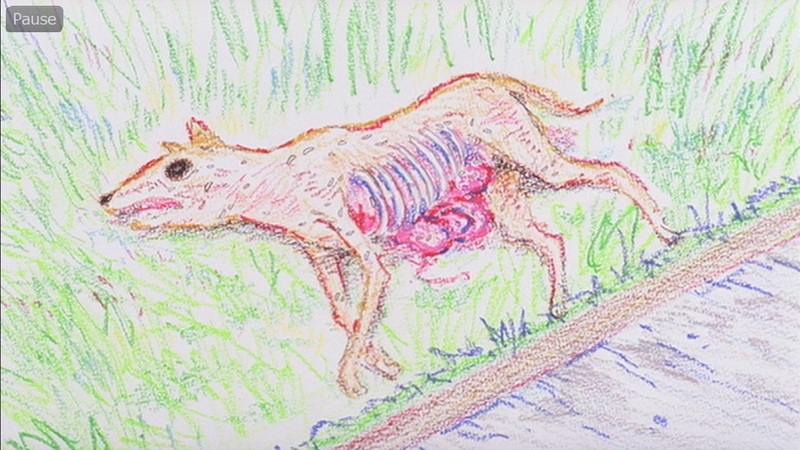 the gutted dog and the bucket of fish). 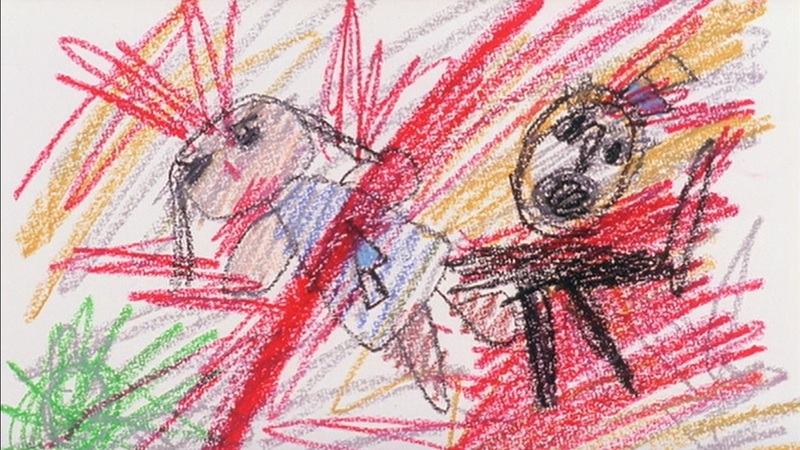 There is commentary that's part of the "Eva Tomo no Kai" (Eva Fan Club) newsletters that supposedly mention that these drawings were created by children who went through abuse/traumatic experiences and were drawn as part of some sort of therapy. I can't provide the actual source or the scan, though, so take that tidbit with a grain of salt. So it's possible that the sequence alludes to that of a child (or children, as in the Evangelion pilots) who went through traumatic experiences (piloting, fighting, general psychological struggles from the events of the series) and attempting to cope with them. 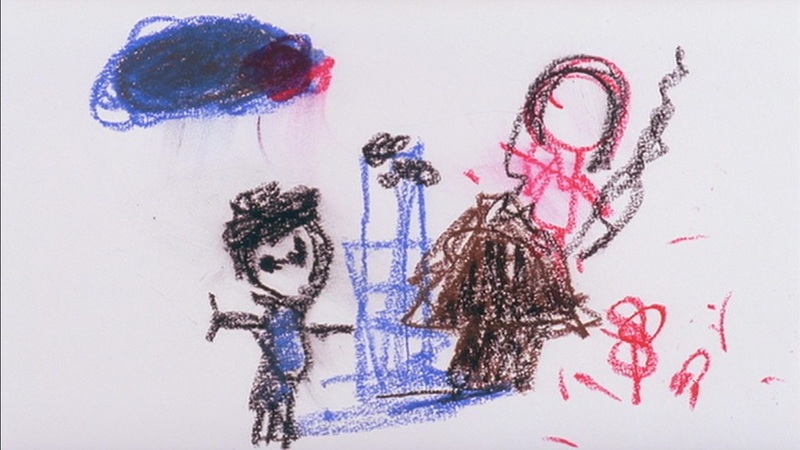 Sort of like the idea behind the therapy children's drawings. 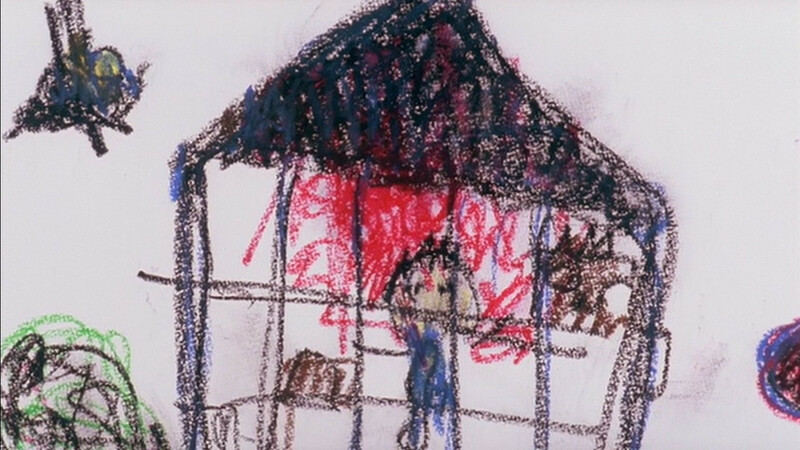 As an art therapist and psychologist-in-training, I can tell you, that yes, the pictures that were actually drawn by children (the "real" pictures) could likely be a part of art therapy and reveal psychologically-damaging/traumatizing people or events. 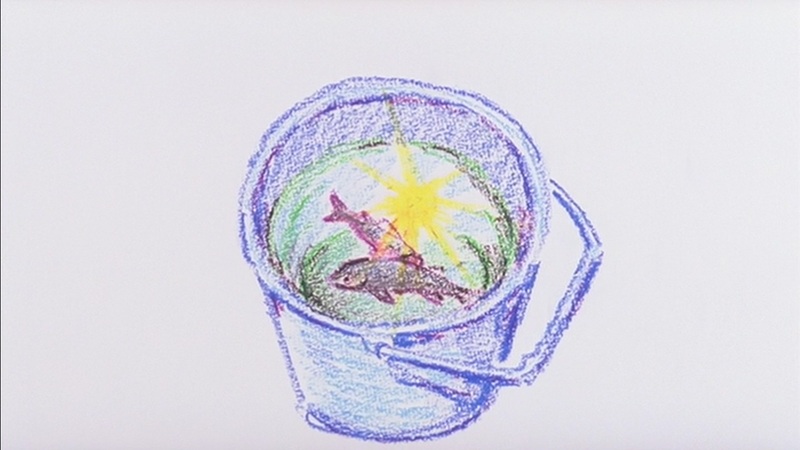 However, these drawings would usually be kept confidential when drawn within therapy sessions, so it is irregular that they would just be picked up by Anno and added into the movie out of the blue. . .
What is the difference between the ending in the anime and in The End of Evangelion? Have the Rebuild of Evangelion films revealed anything new about the original Evangelion TV series? 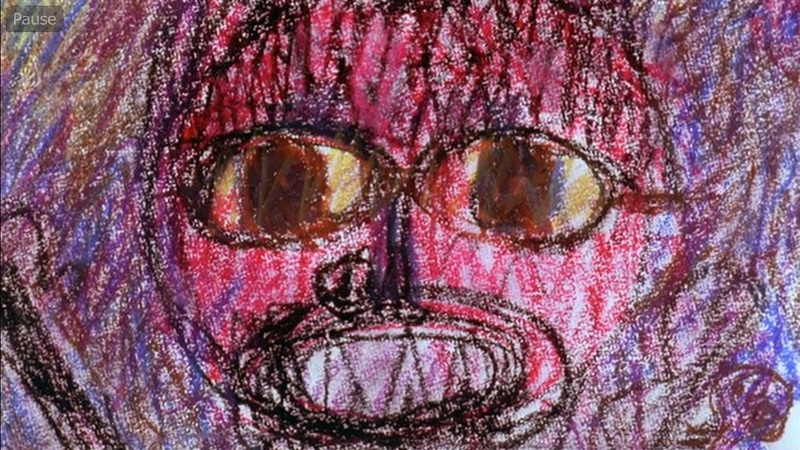 Is there some deeper meaning associated with all the religious symbolism in Evangelion? What is the meaning/purpose of the (not) in the titles of Rebuild of Evangelion? Why does Evangelion manga's plot diverge from the anime? What's the meaning of A.T field that Asuka said in the End of Evangelion movie?